I’m sure that by now you have heard of Acupuncture… but do you know exactly what acupuncture is and all it’s benefits? 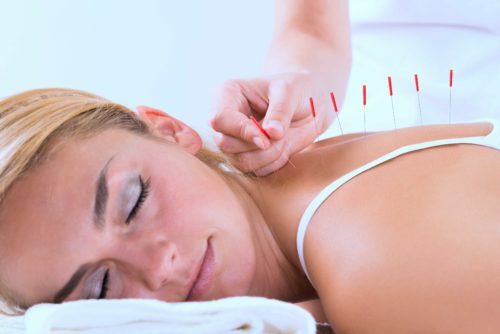 Acupuncture is a form of alternative medicine originated in traditional Chinese medicine. The idea is to stimulate specific points to promote and restore the balance of energy, which flows throughout the body. It is mostly done by inserting thin needles through the skin, which are manipulated manually or via electrical stimulation (electroacupuncture). Side effects associated with acupuncture are minimal. Some of them are bruising at the site, along with minor pain and soreness. Infections and other problems are possible when not using sterile needles or improperly delivering treatments. Serious complications are extremely rare when performed by a qualified, certified practitioner. Acupuncture has numerous benefits. It is used to help ease pain (low-back, shoulder, neck and osteoarthritis/knee pain), reduce the intensity and regularity of headaches, improve mood, and decrease symptoms associated with cancer treatment and menopause. 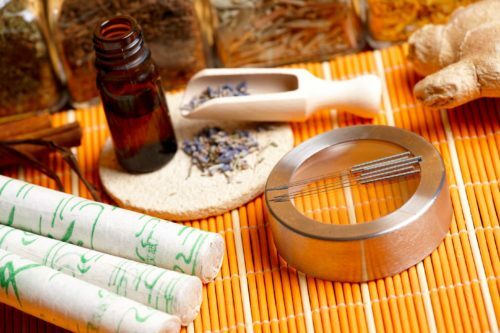 In addition, acupuncture has been used for insomnia, digestive complaints, respiratory conditions (sinusitis and asthma), as a smoking cessation treatment, a relaxation technique, and overall wellbeing. Furthermore, acupuncture is used with pregnant and postpartum females. It can help balance hormones, as well as decrease anxiety, stress and pain during pregnancy. Prior to labor, it can help prepare the body for birth. Postpartum, acupuncture can help women with many physical and/or emotional issues that may arise. relieved low-back and shoulder pain right after treatment. added to the usual care for neck pain provided better results. was more helpful for osteoarthritis pain than simulated acupuncture or no acupuncture at all. added to basic care for migraines helped to reduce their frequency. was more effective than either no acupuncture or simulated acupuncture in reducing headache frequency or severity. added to supplementation or medications for insomnia resulted in better outcomes. helped many people with certain symptoms (nausea, vomiting) associated with cancer treatments. If you are going to try acupuncture, check the practitioner’s credentials. Most states require a license or a diploma from the National Certification Commission for Acupuncture and Oriental Medicine for licensing. This indicates that the practitioner must meet certain standards. Inquire about the estimated number of treatments needed and how much each treatment costs. Some insurance companies cover the costs of acupuncture nowadays. Keep in mind that the effects of acupuncture on the brain and body can be affected by your expectation and belief about the treatment. In order to ensure success, attend sessions with an open mind and spirit.